Our clients range from small local start-up companies to larger, more established, global media giants. With no geographical limitations, we are able to offer exceptional service almost anywhere in the world at very competitive rates. Media is a constantly changing and ever evolving element of today's modern life. As new mediums emerge, and traditional ones develop, industry players need to remain in tune with consumer demands and media consumption trends. 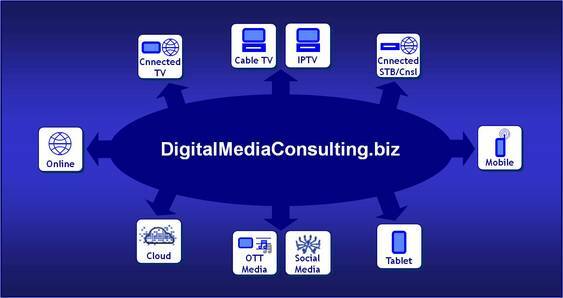 DigitalMediaConsulting.biz helps its clients embrace the digital revolution and maximize their successes in this space – We partner with our clients, as the world wakes up from history. Functional Expertise: Strategy, Business Development, Marketing & Sales, Licensing, and Product Management. Copyright © 2004 ccm limited (a registered company in the Republic of Seychelles). All Rights Reserved. This material is for personal use only. Use of this Web site constitutes acceptance of the DigitalMediaConsulting.biz User Agreement .